Google ended the Nexus program after it started a clean slate with the Pixel phone in 2016, but the program was a critical step in how the Pixel phones eventually got made. 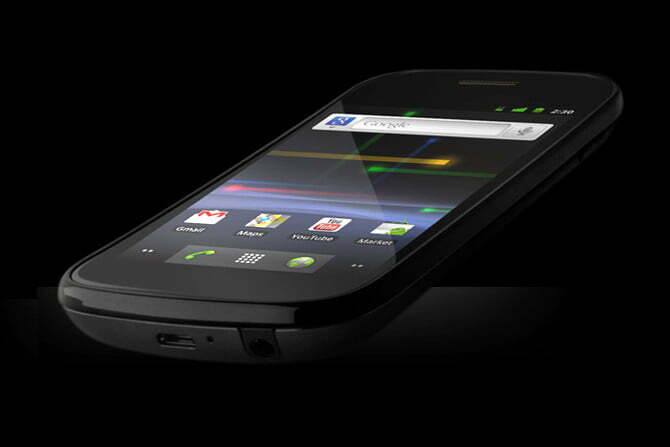 The story takes us back to January 2010, when the first Google Nexus smartphone ever debuted. What’s a Nexus? It’s an Android phone made through a collaboration between Google and another popular smartphone manufacturer. You see, Google owns Android and it’s an open-source operating system, meaning any manufacturer is free to use it. It’s the big reason why it’s the most widely-used mobile operating system in the world. But smartphone manufacturers wanted to make Android their own, and they did so with “skins.” These are essentially themes that change the look of Android. Samsung’s skin is called Samsung Experience, HTC has Sense, LG has UX, and so on. 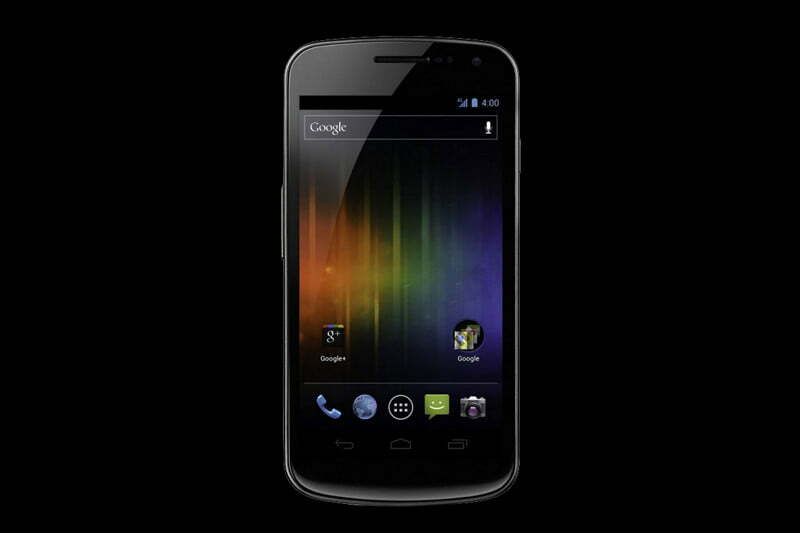 The Nexus program was Google’s way of offering a “stock,” or pure version of Android to users. Straight from the search giant, Nexus smartphones and tablets came with a few pre-installed Google apps, but the main promise of the phones is fast updates. With so many variants of Android skins and smartphones, it’s difficult to force manufacturers and carriers to update devices to newer versions of Android in a timely fashion. With the Nexus program, Google didn’t have to deal with anyone else and could push the updates straight to the smartphones as soon as builds were ready — just like Apple does with iOS. Nexus smartphones were never heavily marketed towards the average consumer, which is perhaps what brought it to its demise. But as the name has faded into history, let’s take a look at Google’s 14 Nexus devices, ever since it started the program six years ago. 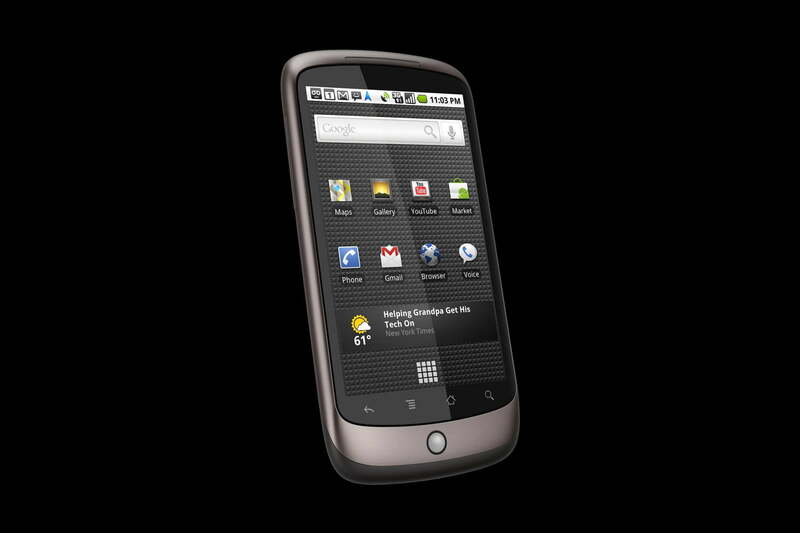 Google’s first Nexus smartphone, the Nexus One, was developed in close partnership with HTC. The One had a 3.7-inch AMOLED screen with a resolution of 800 x 480-pixels. It was powered by a 1GHz Qualcomm Snapdragon processor, with 512MB of RAM and 4GB of internal storage, as well as MicroSD card support. Its rear camera was the only camera, and it had 5-megapixels and a LED flash. While the device had a touchscreen with off-screen buttons, it featured a trackball that doubled as a color-changing notification light. The smartphone launched with Android 2.1 Eclair, and the last flavor it tasted was Android 2.3.6 Gingerbread. Hot on the heels of releasing the Nexus One, Google partnered up with Samsung for the Nexus S. It was released toward the end of the year, and was the first smartphone to showcase Android 2.3 Gingerbread. The 4-inch device had a Super AMOLED screen with a resolution of 800 x 480-pixels. Its internals were akin to Samsung’s Galaxy S — it was powered by the Korean giant’s Exynos 3110 processor, had 512MB of RAM, and packed 16GB of internal storage. The Nexus S was one of the first smartphones to have a slightly curved glass touchscreen, and it was also one of the first Android smartphones to come with a near-field communication chip — the technology that enables frameworks like Android Pay and Apple Pay. The last version update the Nexus S received was Android 4.1.2 Jelly Bean. In our review, we gave the Nexus S a 7.5 out of 10. Google stuck with Samsung for a second year to produce the Galaxy Nexus. Noticeably, the biggest change was the lack of physical navigation buttons — on-screen buttons were introduced in the new Android version, 4.0 Ice Cream Sandwich. The smartphone’s 4.65-inch Super AMOLED screen had a resolution of 1280 x 720-pixels, and it was powered by a dual-core processor from Texas Instruments, with 1GB of RAM. The Galaxy Nexus came with 16 and 32GB internal storage options and had a 1,750mAh battery. It sported a 5-megapixel rear camera, as well as a 1.3-megapixel front one — it could even film videos in 1080p. The phone was among the first to support Google Wallet, and the last version it received was Android 4.3 Jelly Bean. In our review, we gave the Galaxy Nexus a 9 out of 10. The year 2012 was a busy one for Google — the company unveiled four Android devices, two of which were tablets. The smaller, Asus-built Nexus 7 was a hit thanks to its low $200 price tag and high-end build. It introduced Android 4.1 Jelly Bean, meaning it was one of the first devices to come shipped with Google Now. The 7-inch slate was powered by Nvidia’s quad-core Tegra 3 processor and 1GB of RAM. The tablet offered internal storage options of 8, 16, and 32GB, and also featured NFC. It was the first device to market the rebranded app store, Google Play. The last version update the tablet received was Android 5.1 Lollipop. In our review, we gave the Nexus 7 a 9 out of 10. 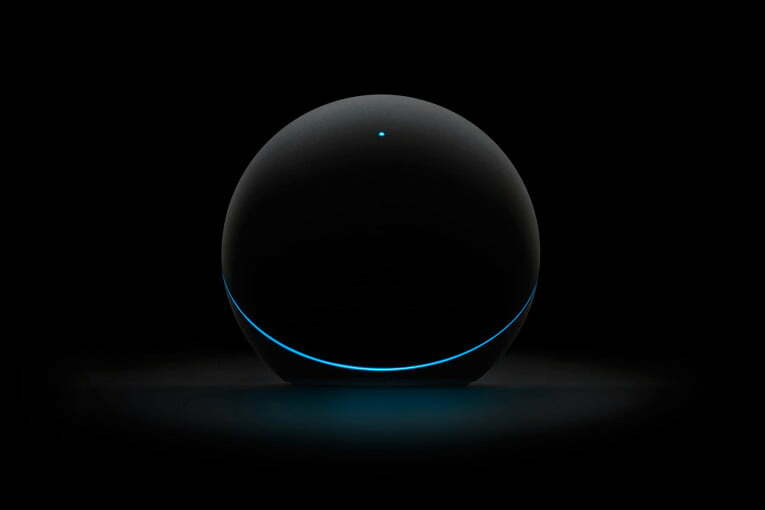 A precursor to the Chromecast and the Nexus Player, Google debuted the oddball Nexus Q in 2012 to challenge Apple TV. The device was a flop, though, thanks to its high price tag for what it does. The device connected to speakers and TVs, and users could cast content from Google services like YouTube and Google Play Movies. Third-party support was not offered, which is another reason the device saw its quick demise. The Nexus 10 was another Samsung-made device, and like its name suggests, it featured a 10-inch display. But what made the Nexus 10 stand out was its resolution — it was the first tablet to carry a high-resolution of 2,560 x 1600 pixels. 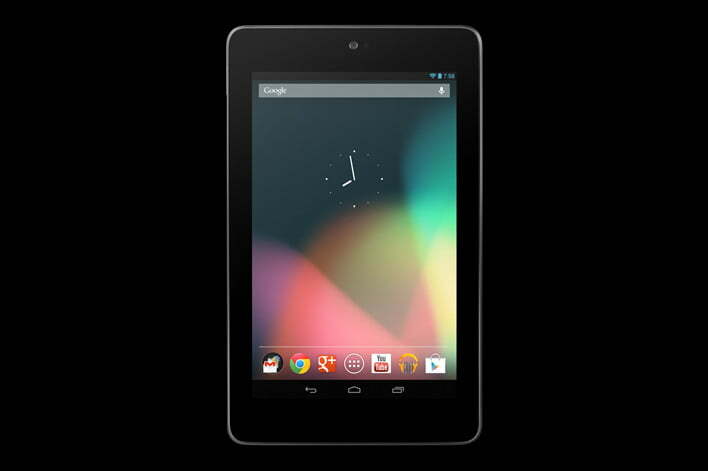 While the Nexus 7 debuted earlier in the year, the Nexus 10 came alongside the Nexus 4 with Android 4.2 Jelly Bean. An event scheduled to showcase the Nexus 4 and 10 and Android 4.2 was canceled due to Hurricane Sandy, and after the tablet was released, it was consistently out of stock due to high demand. 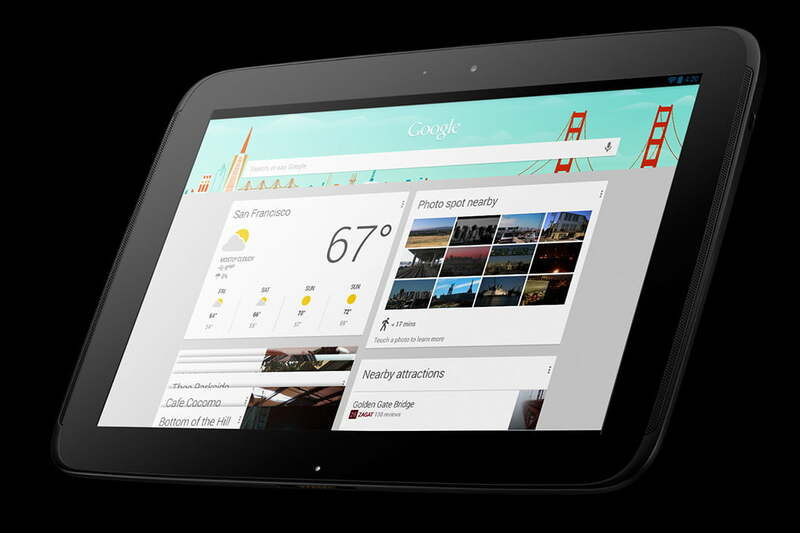 The Nexus 10 was powered by Samsung’s Exynos 5250 with 2GB of RAM. It does not have a MicroSD card slot, but offered storage space options of 16 or 32GB. The last version update it received was Android 5.1 Lollipop. In our review, we gave the Nexus 10 an 8.5 our of 10. 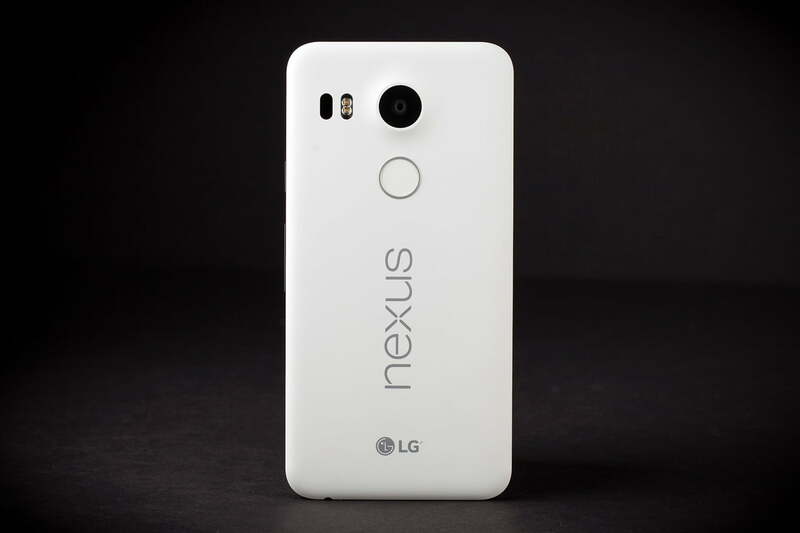 Google went with a new partner for the Nexus 4 — LG. The smartphone ran Android 4.2 Jelly Bean, and introduced Photo Sphere in the Google Camera app — this allowed users to take 360-degree photos of their surroundings. 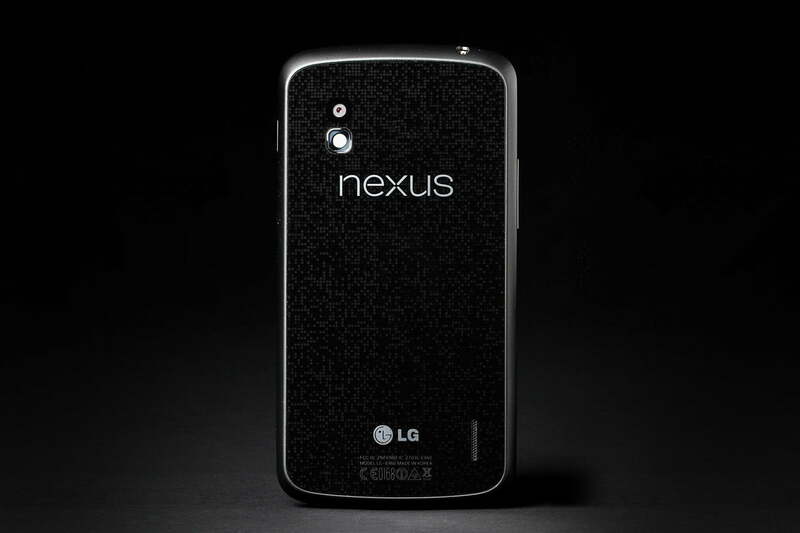 The Nexus 4 has a unique design thanks to its glass back with a spotted pattern. The 4.7-inch smartphone has a resolution of 1,280 x 768-pixels, and was packed with Qualcomm’s Snapdragon S4 Pro, 2GB of RAM, a 2,100mAh battery, and 8 or 16GB internal storage options. Its rear camera carried 8-megapixels, whereas the front only had 1.3. It was rated positively thanks to its low-price and high-end specs. The last version update the Nexus 4 received was Android 5.1.1 Lollipop. In our review, we gave the Nexus 4 an 8.5 out of 10. Thanks to its popularity, the 2012 Nexus 7 saw a refresh the following year — the Nexus 7 2013. Google stayed with Asus as the manufacturer, and the 7-inch tablet was the first to run Android 4.3 Jelly Bean. The Nexus 7 had a resolution of 1,920 x 1,200-pixels, and it featured the same processor and RAM as the Nexus 4. It offered storage options of 16 or 32GB, and while it came with a smaller battery compared to its predecessor, you would have found it has a longer battery life. The Nexus 7 was also lighter and thinner than the 2012 model. The last version update it received was Android 6.0 Marshmallow. In our review, we gave the Nexus 7 2013 a 9 out of 10. 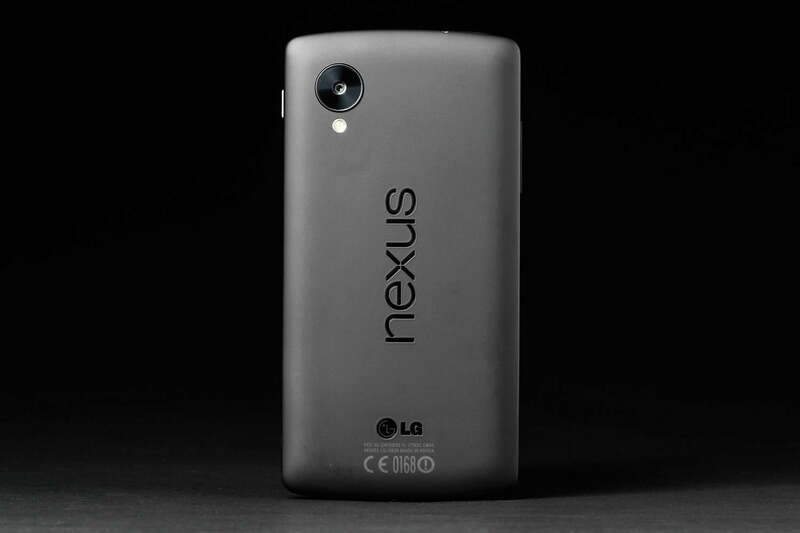 Later in 2013, Google partnered with LG again to launch the Nexus 5. The 4.95-inch device had a Full HD display, a Qualcomm Snapdragon 800 with 2GB RAM, a 2,300mAh battery, and 16 or 32GB storage options. It was the first device to ship with Android 4.4 KitKat, which is also the first and only Android version so far to have a branded name. Along with KitKat came the Google Now Launcher, which offered easy access to the smart assistant. Hangouts also became the default text-messaging app, and the phone featured wireless charging capabilities. Google later released a red variant of the device. The last version update the Nexus 5 received was Android 6.0.1 Marshmallow. 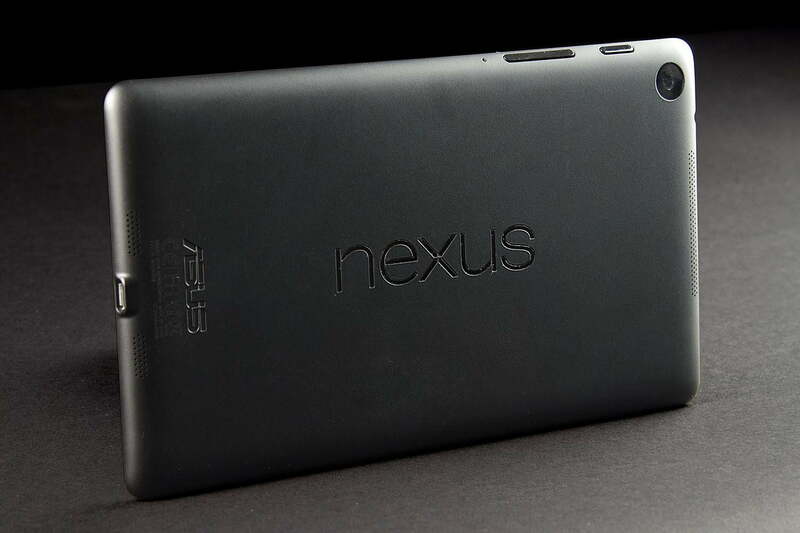 In our review, we gave the Nexus 5 an 8 out of 10. Talk about big. Larger screens were becoming more and more popular, and so Google went all out with the Nexus 6. The search giant sold Motorola to Lenovo earlier in the year, but it still partnered with the mobile manufacturer for its 5.96-inch phablet. The Nexus 6 featured an AMOLED screen with a resolution of 2,560 x 1440-pixels. It had Qualcomm’s Snapdragon 805, 3GB of RAM, and storage options of 32 and 64GB. Its 13-megapixel camera offered optical image stabilization, and the 3,220mAh battery could recharge with wireless chargers. The Nexus 6 ran Android 5.0 Lollipop, and was one of the first slew of devices to showcase Google’s new Material Design guidelines. It was also the first device to be compatible with Project Fi, Google’s own mobile network operator. The most recent version update the Nexus 6 received was Android 7.0 Nougat. 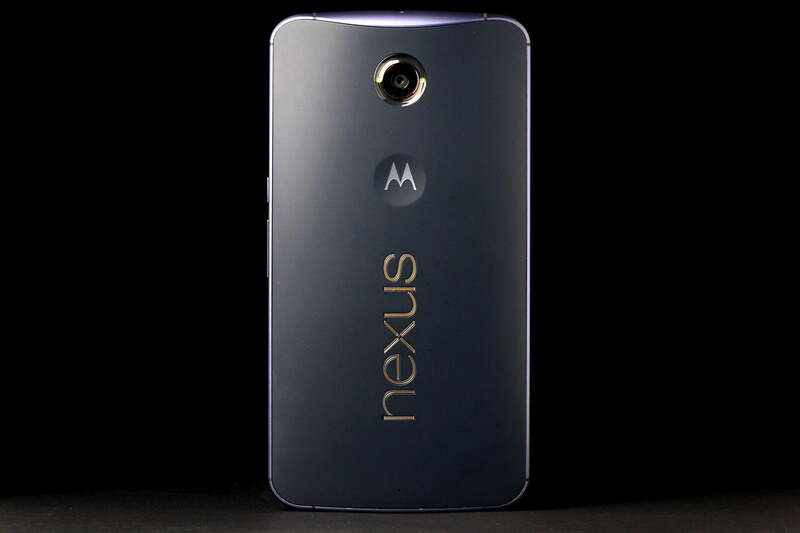 In our review, we gave the Nexus 6 an 8 out of 10. Google went back to its roots to partner with HTC again for the Nexus 9 tablet. The 8.9-inch slate came with Android 5.0 Lollipop, and its large display featured a resolution of 2,048 x 1,536-pixels. It was powered by Nvidia’s Tegra K1, offered 2GB of RAM, and had 16 or 32GB storage options. The Nexus 9 was released alongside the Nexus 6, meaning it too showcased the bold new Material Design guidelines. The last version update it received was Android 7.0 Nougat. In our review, we gave the Nexus 9 an 8 out of 10. 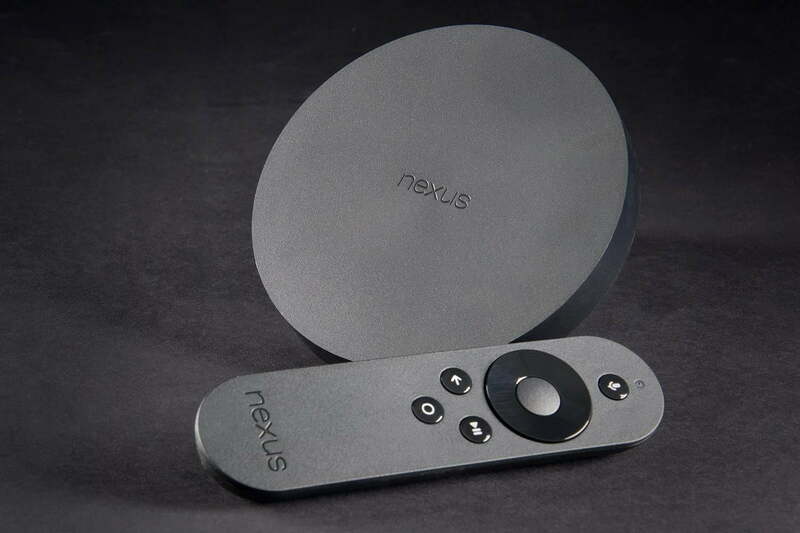 Following the popularity of the Chromecast, Google released the Nexus Player — a set-top box that offered Android TV. It ran Android 6.0 Marshmallow, and for $99 you could cast content or browse a myriad of third-party content, from services like Netflix, Hulu, and Sling TV. It came with a remote, which you could use to trigger voice searches or control the TV interface via a directional pad, a back, home, and play/pause button. The search giant discontinued the product in May 2016, but it still received Android 7.0 Nougat. In our review, we gave the Nexus Player a 6 out of 10. Google went back to LG for a third time with the Nexus 5X, and it was the first (along with the Nexus 6P) to feature a fingerprint sensor and a USB Type-C port. It was also the first to feature Android Sensor Hub, a low-power processor that detects when the device is being picked up so it can display information at the right time. The 5.2-inch device had a resolution of 1,920 x 1,080-pixels, a Qualcomm Snapdragon 808 processor, 2GB of RAM, 16 or 32GB storage options, and a 2,700mAh battery. It came packaged with Android 6.0 Marshmallow, which introduced Google Now on Tap — it’s a search function that reads what’s on the screen to offer more information and relevant content. In our review, we gave the Nexus 5X a 5 out of 10. 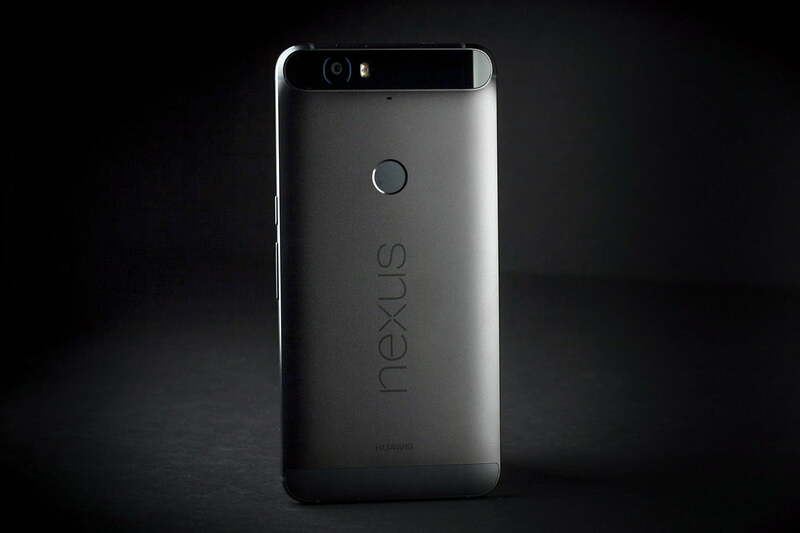 For the first time, Google picked a Chinese manufacturer to develop a Nexus smartphone. The Nexus 6P is widely-regarded as one of the best Nexus smartphones, and an exceptional Android phone for its price. The 5.7-inch AMOLED screen had a resolution of 2,560 x 1,440 pixels, and ran on Qualcomm’s Snapdragon 810 processor with 3GB RAM. It had storage options of 32, 64, and 128GB, had dual front-facing speakers, and came with a 3,450mAh battery capacity. 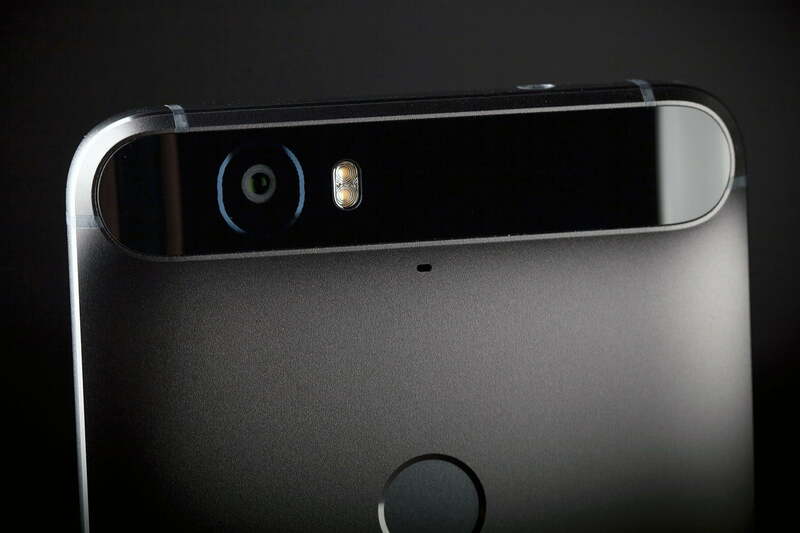 Its rear camera had 12.3 megapixels, and Google highlighted its large pixel size, which enabled the camera to take better low-light photos. It charged via a USB Type-C port. The Nexus 6P launched with Android 6.0 Marshmallow, but it received Android 7.0 Nougat. In our review, we gave the Nexus 6P an 8.5 out of 10.